Li brings more than three decades of higher education leadership, including award-winning research, scholarship and a proven track record for increasing gender and ethnic diversity in STEM programs and launching innovative student success programs. Li grew up in China during the Cultural Revolution, when public K-12 education was largely in disarray and teaching was considered “suspect.” Being fortunate enough to test into Xi’an Jiaotong University, he earned his degree in Mathematics, and developed a deep appreciation for education, equality, and optimism. Li went on to receive his Ph.D. in Mathematics from the University of Minnesota, Twin Cities, and did his postdoc at the University of Chicago. 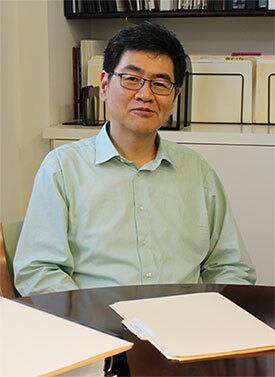 Prior to coming to John Jay College, Li was the Provost and Vice President of Academic Affairs at California State University, Northridge, where he also served as Professor in the Department of Mathematics. At CSUN Li made diversity and inclusion one of his top priorities, recruiting, mentoring and retaining faculty and staff committed to building a supportive community for all people. Li also served as Dean in the College of Science and Mathematics at Wright State University since 2011; professor and chair of the Department of Mathematics at the University of Iowa; associate professor at the University of Rochester; and L.E. Dickson instructor at the University of Chicago. Li fully understands the transformative power of higher education and is deeply committed to the social mobility of underrepresented people. At John Jay he hopes to empower the faculty and execute smart strategic plans for the betterment of the entire College community.